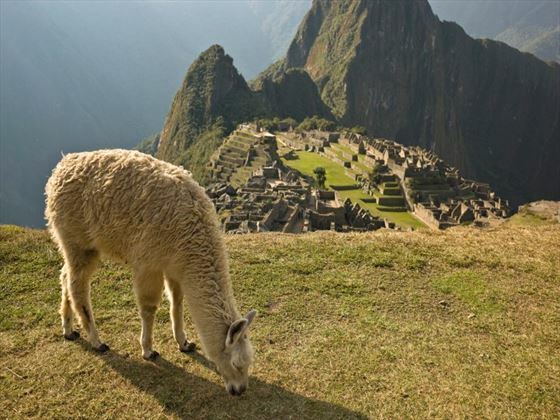 Imagine Incan ruins in towering mountains, exotic Amazon wildlife and historic cities filled with ancient architecture. You’ll experience all this and more on our 10-day tour of Peru, where you’ll learn about the fabled Incan civilisation. The trip starts in Lima and continues to the Amazon and Cusco, with the option of trekking to South America’s most famous site: Machu Picchu. 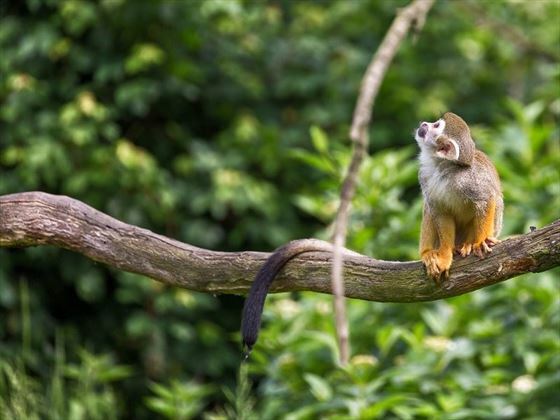 Highlights include spotting rare monkeys, birds and otters on Amazon walks and visiting UNESCO-listed Machu Picchu. You’ll get the chance to take guided tours of both Lima and Cusco, as well as visit archaeological sites dotted around the Sacred Valley. The pinnacle of the tour is a multi-day trek following either the Inca or Inca Quarry Trail, but if you don’t want to hike, take a scenic train journey instead (INT - GGKY). Tour mighty Machu Picchu, one of the New Seven Wonders of the World. Enjoy a two-night adventure in the Amazon Jungle to see rare wildlife. Opt to hike through the Sacred Valley to Machu Picchu on the Inca Trail. Explore Peru’s capital Lima, its churches, markets and eerie catacombs. 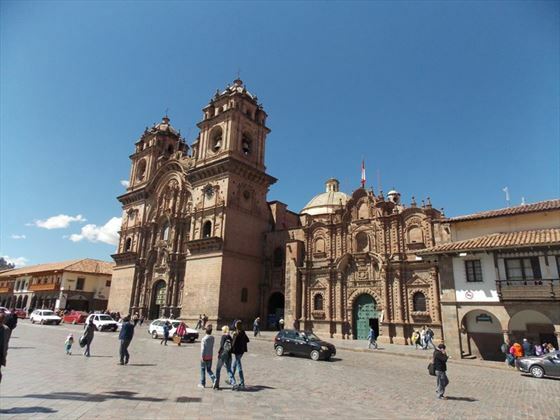 Discover Cusco and its cobbled streets, Incan and Spanish architecture. Your trip begins in the capital city, Lima, with a transfer to your hotel and welcome meeting at 2pm. 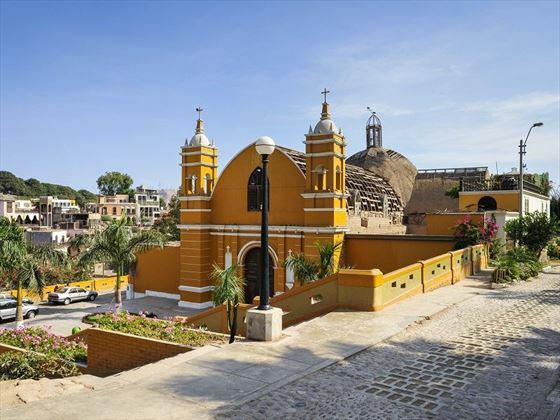 Your tour leader will take you on a half-day walking tour of downtown Lima, where you’ll get to see the historic centre and Plaza Mayor, which is filled with palaces, cathedrals and Spanish colonial buildings. The tour includes a visit to the San Francisco Monastery and its catacombs, which hold around 70,000 human remains. You’ll also get to peruse the Central Market, which is filled with everything from produce to guinea pigs. Try some street food and then spend free time wandering the streets or relaxing. Fly to Puerto Maldonado for your two-night Amazon adventure. You’ll be able to safely store the bulk of your luggage, taking just what you need for the jungle trip. The journey to the Amazon lodge takes around 45 minutes by bus or canoe and you’ll have time to settle in before a welcome meeting and briefing. Rooms at the lodge are basic and built from materials such as bamboo, with rooms opening out into the jungle. There are flushing toilets and cold showers, as well as mosquito nets and kerosene lamps. Electricity and internet are only available at certain times in common areas and we use two different lodges in the same area, which offer slightly different activities. Start the day with a boat ride and guided hike through the rainforest. Along the way you’ll see all kinds of jungle flora and fauna, as well as monkeys, toucans and even black caimans. You may be lucky enough to spot a family of endangered river otters at an oxbow lake, as well as macaws who come to feed at a salt clay cliff every morning, to detoxify their fruit diet. Return to the lodge for lunch before an afternoon walk, where your guide will point out the Amazon plants used for medicine and a variety of insects. After dinner there’s a chance to take an exciting night walk through the jungle to spot dozens of incredible bugs and spiders. Say goodbye to the Amazon and fly to Cusco, a 35-minute flight. This famous city is the jumping off point for trips to Machu Picchu and lies in the Andes, at an altitude of 3,450 metres above sea level. This means that the air is thinner and you may suffer from altitude sickness, so be sure to take it easy and stay hydrated while you acclimatise. Take an orientation walk to see some of Cusco’s most notable sights, including San Pedro Market, colonial San Blas Square, the Incan 12 Angled Stone and Qoricancha Temple. Visit the chocolate museum to sample hot chocolate and stock up on locally-made handicrafts as souvenirs. Today you’ll venture into the Sacred Valley, an area of fertile farming land and mountain peaks that was known as Wilcamayo to the Incas. Travel by private bus, stopping at Sacsayhuaman, to see Incan engineering at its finest, including huge stone blocks that were cut and assembled to form earthquake-proof walls that still stand today. 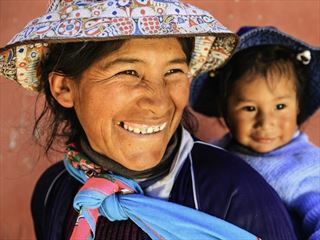 Next, you’ll visit a village in the Sacred Valley to meet residents and learn about traditional life, experiencing a typical Andean meal. There’s a chance to see the market if you visit on a Sunday, Tuesday or Thursday. The day ends in Ollantaytambo, a rustic town with grid-like, Incan streets surrounded by mountains. Visit the Ollantaytambo archaeological site, perched on a hillside. Classic Inca Trail – a minivan will drive you to the 82-kilometre point of this trail, which was used by the Incas when travelling to Machu Picchu. Meet your team of porters, cooks and guides and trek uphill to the first campsite, which sits at an altitude of 3,100 metres. There’s a chance to see the Llactapata ruins along the way, a site which was burnt down by the final Inca emperor in an attempt to keep Spanish forces away. Inca Quarry Trail – your trek starts with a visit to Choquequilla, an Incan moon-worshipping site, and drop-off at Rafq’a, the start of the trek. Meet your team and make the hour-long hike to the tiny village of Socma, followed by the stunning Perolniyoc cascade lookout which boasts sweeping views of the valley. You’ll reach your campsite at 3,700 metres by lunchtime but spend the afternoon at the nearby Incan checkpoint, Q’orimarca. Train – if you don’t want to hike, you can take the beautiful train journey through the Urubamba Valley to Aguas Calientes, the gateway town to Machu Picchu. First, you’ll spend two extra days in Cusco. Take advantage of your Full Boleto Turistico Pass, which gives you access to 16 historical and archaeological sites around Cusco. Both trekking options are suitable for people with reasonable fitness levels who are able to cope with seven hours of walking per day. On the 45-kilometre Inca Trail, you’ll camp for three nights in twin-share tents with foam camping mats provided. 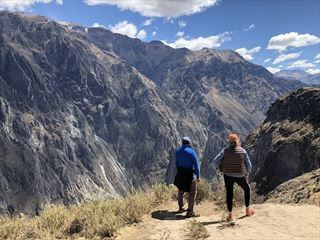 The Inca Quarry Trail is 26-kilometres long and includes two nights camping and one in a hotel, the highest pass on the trail is 4,450 metres. Porters will carry your gear, set up tents and prepare meals. Breakfast included, plus lunch and dinner for trekking groups. 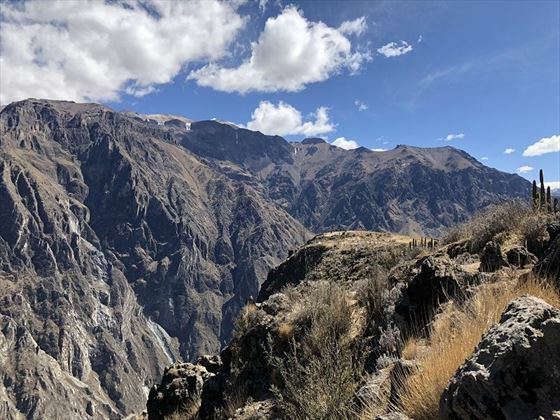 Classic Inca Trail – tackle the most challenging day of the trail on a five-hour uphill path to the highest point, Warmiwanusca, known as Dead Woman’s Pass. Located at 4,200 metres above sea level, you can take in remarkable views of the valley before descending to 3,650 metres to your camp in the Pacaymayo Valley. Inca Quarry Trail – this is also the most difficult day of the trek, starting with a three-hour hike to Puccaqasa Pass for aerial views of the valley. You’ll reach the highest pass after lunch, Kuychicassa, which lies 4,450 metres above sea level. The rest of the day is easier, with a descent to the Incan Sun Gate for views of majestic Nevado Veronica Mountain. Train option – spend another day in Cusco with your tourist pass and sample some of the city’s high-class restaurants. You can also arrange transport for trips to nearby sites in the Sacred Valley such as Qenqo and Tambomachay. 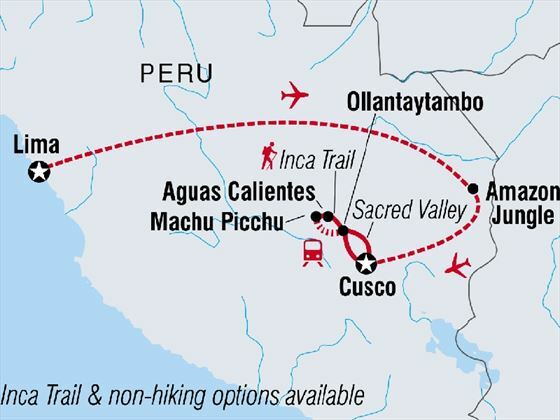 Classic Inca Trail – trek through the Pacaymayo Valley for views from Runkuracay Pass, which lies at 3,980 metres. Next, you’ll descend to explore the ancient Sayacmarca ruins and tackle the trail’s third pass to Phuyupatamarca. This fascinating site is known as the town above the clouds. After visiting, you’ll walk down the Inca steps to your final campsite. Inca Quarry Trail – today is all downhill, stopping at the Kachiqata Quarry, where Spanish forces intercepted the Incas. The trek ends at lunchtime in Ollantaytambo before the train journey to Aguas Calientes. Spend the rest of the day soaking your tired muscles in the town’s natural hot springs. Train option – today you’ll leave Cusco and take the three-hour train journey to Aguas Calientes. Take in the views of the canyon-like valley and its surrounding mountains along the way, then settle into Aguas Calientes with a trip to the hot springs. Breakfast included, plus lunch and dinner for the trekking groups. Classic Inca trail – have breakfast at 4am and say goodbye to your porters. At 5.30am you’ll start the two-and-a-half-hour hike to the Sun Gate, for views over Machu Picchu, the Lost City of the Incas. Meet up with the rest of your group for a guided tour around the site. 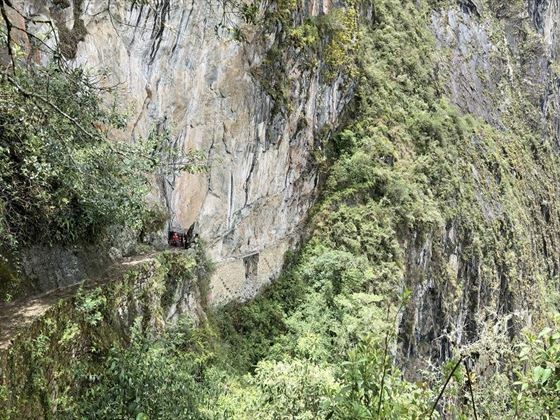 Inca Quarry Trail and train option – take the bus at 5.30am from Aguas Calientes to Machu Picchu, a journey of 30 minutes. Your group will reassemble for a guided tour of Machu Picchu, which was thought to have been built as a retreat for Incan nobles in 1440 AD. Wander the ruins of palaces, temples and living quarters, learning about Incan life and take in iconic views from the guard towers. Enjoy free time after the tour to take photos before you return to Cusco. The trip comes to an end today and there are no activities planned. If you have time before your flight, do some shopping or take an optional activity such as pisco making, mountain biking or stand up paddle boarding. Accommodation: three nights camping, four nights in a hotel, two nights in a jungle lodge. Transport: plane, private vehicle, train, canoe. Food: nine breakfasts, six lunches and five dinners. Activities: guided tour in Lima including the catacombs and San Francisco Monastery. Cusco orientation walk and Full Boleto Turistico Pass with access to 16 archaeological sites in the area, transport not included. Visit to the Cusco Chocolate Museum plus free hot chocolate and a Sacred Valley community visit and lunch. 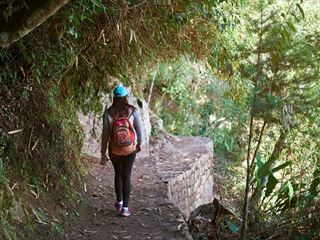 If you decide to trek the Inca Trail then you need to make sure you have a decent level of fitness. This is so you can make the most of the adventure. 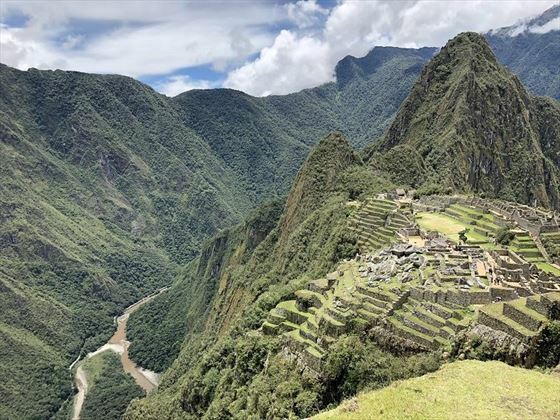 Inca Trail permits are very popular so please ensure you allow enough time to secure one - if not don't worry, you can hike the Inca Quarry Trail, another wonderful route. Due to the high altitude of many of the places we visit, the air is thinner and some people can suffer from altitude sickness. Some people aren’t affected at all, but if you are, be sure to drink plenty of water and don’t push yourself too hard.